So you think that Mossel Bay’s a sleepy coastal town? Well, we think of it as an adrenaline rush just waiting to happen. Because fly, float, ride or dive, it’s here in our arena. 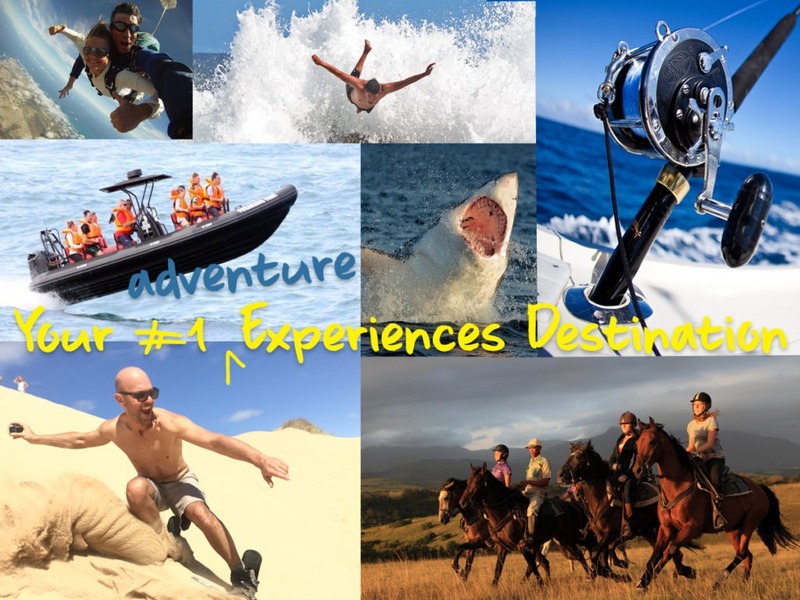 It’s the perfect arena for adventure, because Mother Nature has blessed Mossel Bay with everything you need for enjoying her charms…. a beautiful bay, excellent weather, amazing wild animals and breath-taking scenery. Best of all, of course, fun-loving people who take your enjoyment of the great outdoors very, very seriously. Enjoy! 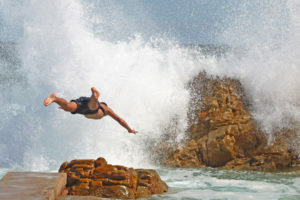 because there’s No Hurry, No Worries in Mossel Bay – the Garden Route’s adventure centre. Tandem Skydiving in Mossel Bay South Africa is an experience that will stay with you for a lifetime! Not only will you enjoy all of the thrill and excitement of free-falling on your very first jump, but you’ll also be taking an exhilarating scenic flight over the Mossel Bay area with an eagle’s view of the Indian Ocean, Outeniqua mountains and beautiful beaches! Welcome to the world-famous ‘Dragon Dune’ – the biggest and longest sand-board ride in South Africa. Situated on private land, this ‘beast’ provides the ultimate ride on sand, similar to snowboarding. We cater for everyone, corporates, oil sheikhs, beach-bums, school groups, skiers, team building, tour operators and everyone in between. 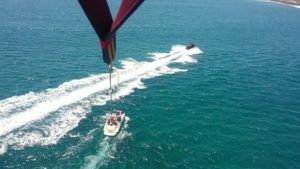 High adrenaline, high speed, wave jumping boat trip that can accommodate up to 12 people from ages 10+. 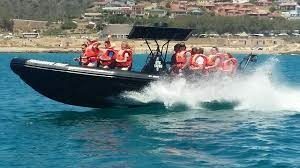 Departing from Mossel Bay Harbour Waterfront, the trip will take you around Seal Island at speeds that may exceed 120 KM/H (weather and sea conditions permitting). Great White Sharks have always fascinated humans for various reasons. Perhaps it is their imposing size, their graceful beauty:- perfectly adapted to their environment, patrolling our oceans since the beginning of time… Their powerful predatory behaviour instilling pure fear in our hearts… or perhaps it is the mysteries surrounding this spectacular shark that beckons us to come closer and closer….. If you are one of those….. who would like to come just that little bit closer, to experience the Great White Shark in its natural environment above or under water or perhaps just learn a bit more about them and us. You have come to the right place. Shark-watching at its best on board luxury custom-built winch boat SENORITA. Weather conditions will determine area of operation within the bay. Trip can accommodate up to 10 people. Flights start and end on the boat (no swimming with the sharks). Deep Sea Adventures in Mossel Bay are the proud owners of fishing charter vessels Nikita, Dankie Pa and Dreamcatcher. 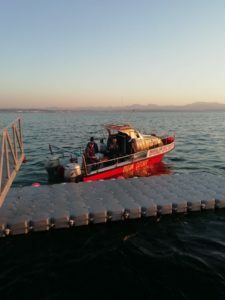 They offer deep sea fishing opportunities on the Mossel Bay coastline. During the past 13 years, Deep Sea Adventures made the dreams of several fisher men come true. The opportunity to have a 10kg+ Kablejou on your line will give any amateur fisherman goose bumps of excitement – that’s for sure. Not to talk about the bite on your hook and the fight with a Yellowbelly Rockord or a good sized Sunter. It is not only the thrill of the larger fish species that makes fishermen excited but also the chance to catch several species on one trip. 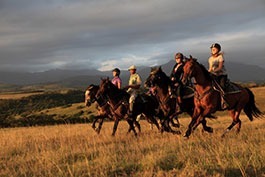 Enjoy an exciting horseback safari and escape to the majestic mountain valleys and beautiful fynbos for a 1, 2 or 3-hour horse ride and experience nature like never before. Experience diverse plant life including woodlands, coastal and mountain fynbos and the opportunity to see free roaming wildlife. All experience levels welcome (child 6+). 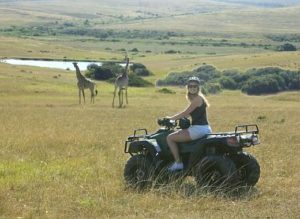 Come and enjoy an exciting quad ride on 300cc fully automatic quad bikes whilst enjoying some amazing views and wildlife. Route difficulty adapted to rider experience. 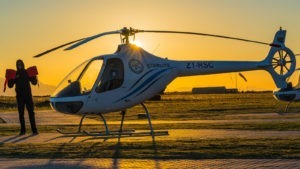 A variety of memorable scenic helicopter ride packages to choose from. Contact them today to arrange an exciting trip for your family and friends to experience Mossel Bay, the Garden Route and its surrounding areas from a bird’s eye view. They can also provide customised packages to suit your individual requirements. The Point a dramatic rocky point which is at the tip of the peninsula within central Mossel Bay. Rows of rocky reefs form a natural tidal pool known as Die Poort. For generations, the towns children have learned to swim in this pool where chains and ropes have been secured across the pool to assist swimmers when the surging tides cause strong currents to wash down the pool. At the upper end of the pool there is a diving board over a deep pool with high rocks on the seaward side. This is Blougat (Blue Hole), a very deep pool, much deeper pool than the first, giving it a deep blue colour and thus its name. Here you can stroll for 3 kilometres along a walkway across the rocky coastline or venture on the 15-kilometre-long St Blaize hiking trail to Dana Bay. Luxury, guided walking tours along the beaches and in the fynbos west of Mossel Bay. 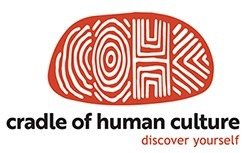 Explore a part of the Garden Route where modern human behaviour first emerged. You’ll come away with a new appreciation for our planet…and for what it means to be human.